We use the whole plant to extract, distill and refine our 3:1 CBD: THC blend for a relaxed, mellow high. Like a great session IPA, it’s full of flavor and complexity with a little less of a punch-in a good way. March on, Daytime rider! 500mg CCELL cartridge with wood tip for 510 thread battery. Quality cannabis doesn’t get any easier than this: Your favorite Jetty oils in an all-in-one charged, and ready to vape pen. By the way, portable doesn’t mean compromise, thanks to ceramic CCELL technology. 300mg disposable oil cartridge and battery. In support of Breast Cancer Awareness month, we’re issuing everyone a 15% discount. Use promo code AWARENESS and receive 15% off your next order. Get a hold on one of these new jetty pure cartridges. Alien OG, the name may be otherworldly but Alien OG is a stellar hybrid with citrus, pine and “earthy” flavors. And we probably can’t prove it (well, maybe?) but that signature Jetty wood tip brings out a little something extra that’s really working for us. Averaging around 77% THC, each CCELL cartridge contains 500 mg cannabis oil for 510 thread battery. Maui Wowie, a classic sativa-dominant strain much-loved for its upbeat but mellow high. Every hand-crafted batch is held to the highest standards of extraction, distillation and refinement. The final step is reintroducing the strain's own cannabis terpenes back to the finished oil giving it that true Maui Wowie tropical taste. Wood-tipped, CCELL cartridge contains 500 mg gold distillate testing around 80% THC. Zkittlez, At the risk of sounding “cannasseur-ish,” Zkittlez is a new exotic with notes of berries and a fruity, tart finish that’s, well, really good. This indica hybrid strain is extracted, triple distilled and blended with its own natural cannabis terpenes, sporting a THC content of around 78%. 500 mg gold distillate in wood-tipped CCELL cartridge for 510 thread vape pen battery. Raspberry Cookies dense, pale green buds are thoroughly encrusted in shimmering white trichomes, with copious burnt orange hairs and occasional flecks of deep purple. An initial whiff of creamy shortbread tinged with sweet berry is soon overpowered by a pungent funk characteristic of OG Kush. That distinctive dankness becomes considerably more pronounced as the flower is broken apart, releasing a somewhat-skunky scent full of sharp lemon and pine with an undertone of diesel fuel. There’s a complex contrast of light, cheery sweetness alternating with astringent citrus and spicy soil. One moment, the taste is all buttery cookies and raspberry jam, with hints of mint and powdery floral perfume. Then the next puff puckers your lips with intense lemon and pine, followed by lingering earthiness. Immediate floaty head high, and an easy body relaxation. GSC, formerly known as Girl Scout Cookies, is an OG Kush and Durban Poison hybrid cross whose reputation grew too large to stay within the borders of its California homeland. With a sweet and earthy aroma, GSC launches you to euphoria’s top floor where full-body relaxation meets a time-bending cerebral space. A little goes a long way with this hybrid, whose THC heights have won GSC numerous Cannabis Cup awards. Patients needing a strong dose of relief, however, may look to GSC for severe pain, nausea, and appetite loss. There are several different phenotypes of the GSC strain including Thin Mint and Platinum Cookies, which exhibit some variation in appearance and effect. Typically, however, GSC expresses its beauty in twisting green calyxes wrapped in purple leaves and fiery orange hairs. Patients and consumers looking to cultivate this cannabis staple themselves should wait 9 to 10 weeks for their indoor plants to finish flowering. White Valley OG marijuana strain is a well-balanced marijuana hybrid. The herb was created by Cannarado Genetics. Harvest time comes after 60-70 flowering times. White Valley OG rewards growers with medium yields. Due its genetics, the bud is extremely frosted. The kush can be grown both indoors and outdoors. White Valley OG marijuana is good for evening and day time use. White Valley OG marijuana induces uplifting cerebral euphoria, boosts creativity and energy. Promotes giggles and chattiness, followed by laziness and munchies. Helps to alleviate stress, boosts appetite, controls pain. Blackberry Cookies strain is just as beautiful as it is effective. Blackberry Cookies is a combination of Black Domino and Raspberry Cough, and the shelf appeal is instant. The flower structure is brilliant. Large and tall fluffy structures with bright orange, green and purple shining. Cannabis newbies be warned:F3 OG tends to be very potent. Depending on grow conditions, this strain tends to have THC levels of 15-20%. Consumers can expect to have a very cerebral experience, coupled with a strong heavy-bodied feeling. Take advantage of our weekly special! You receive 3 TMS prerolls, PAX pod, Brite Lab cartridge (GG#4) , Kanha cherry & pineapple gummies. 4/20 Special ! 15% off all flowers ! 4/20 is around the corner and you know what that means ! Use this coupon for your purchase from 4/20 - 4/22 and receive 15% off your purchase. Use promo code TMS420 to activate your discount . Catch this deal while supplies last. Jetty combo pen and cartridge for only $45. 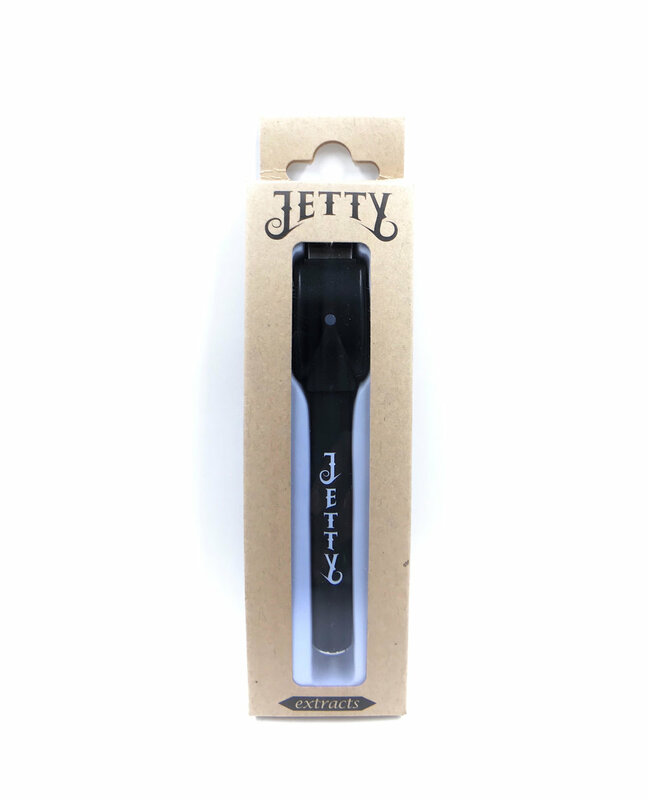 Check out the latest release the Jetty Vape pen and Battery Charger for only $20 ! Jetty Extracts Are Finally Here ! We are proud to announce that we finally carry Jetty Extracts Pure and Gold Cartridges, ranging from a variety of flavors. Check out our menu and find your the perfect Dablicator or Jetty cartridge to fulfill your needs. Here at The Medical Strain we believe your cannabis experience should be of the highest quality. That's why we are committed to bringing you the best variety of products. Newly added this week, we are offering Nug Run Shatter available in Lemon Banana Sherbert (Hybrid), Girl Scout Cookies (Indica), Platinum OG (Indica), Jack Herer (Sativa), Sour Diesel (Sativa), and Wifi (Sativa). Call at 510-761-6214 to make your order, today. For a limited time only, when you make a purchase of $200 or more, you will receive a Medical Strain t-shirt, in one of our three exclusive designs. Call at 510-761-6214 to make your order, today. Welcoming all recreational users ! We would like to welcome all recreational users to our service. If you have a valid I.D. and are 18 + you are more than welcome to place an order with us. Please be aware of the recreational tax which all recreational users are required to pay a 15% excise tax, a 9.25% sales tax, and a 10% city of Oakland cannabis tax. Medicinal users are required to pay a 15% excise tax and a 5% city of Oakland cannabis tax. For more information feel free to give us a call at 510-761-6214.